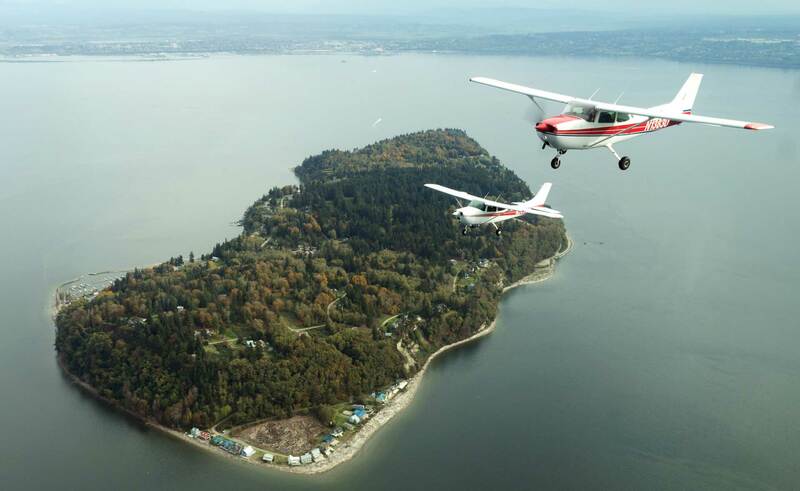 Cascade Flyers is a private non-profit aviation club flying out of Paine Field in Everett, Washington. The club owns and operates two Cessna aircraft. With ten weeks redesign the club website and build brand identity, garnering more attention and drawing a larger net for local pilots interested in joining their club. 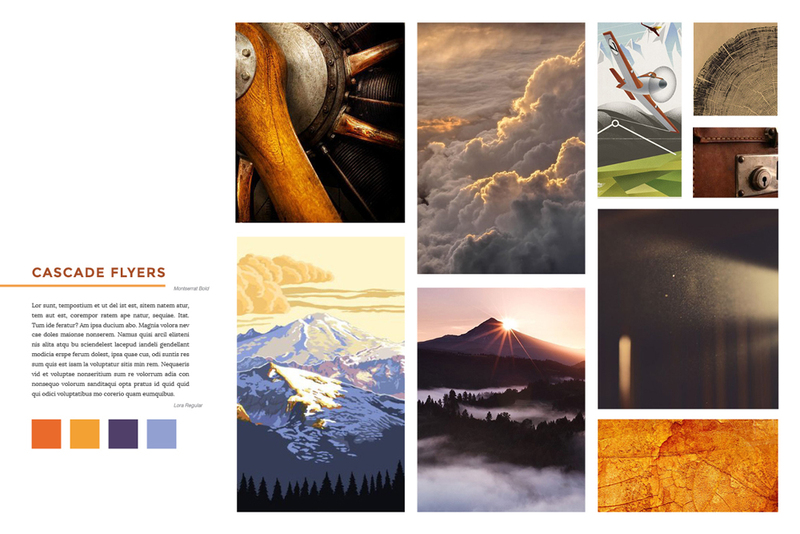 An updated responsive website and new branding that would reflect both their passion for flight and their love for the Pacific Northwest. 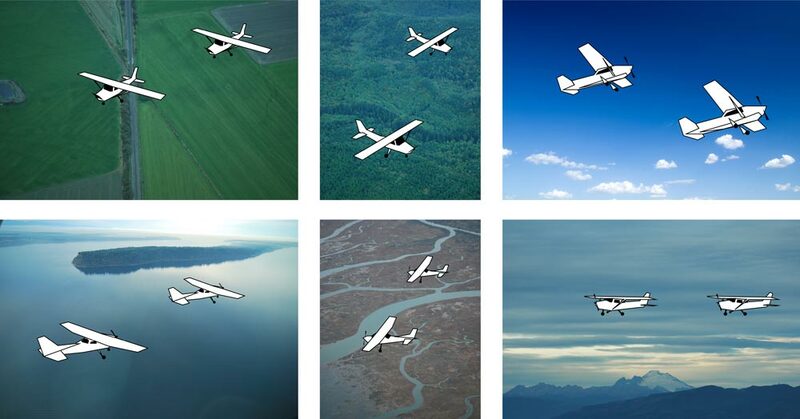 The club is a diverse group of aerial enthusiasts. To represent them in the best way possible we went to great lengths to meet with our client on a regular basis. We had visits to the hangars, interviews with members, online surveys, flights, and presentations at their annual meeting. After lengthy research and brainstorming we had three distinct directions for the branding look and feel of the club. We put it up to the test by having the members use an online survey to assess which of the brand mood boards best represented them. I designed the logo to both represent the club’s Cessna airplanes as well as suggest the many linear repetitions one feels when flying. It was important that the logo capture the essence of flight in the Pacific Northwest. Open and clean, the design expresses the oneness and freedom that club members love about flying. 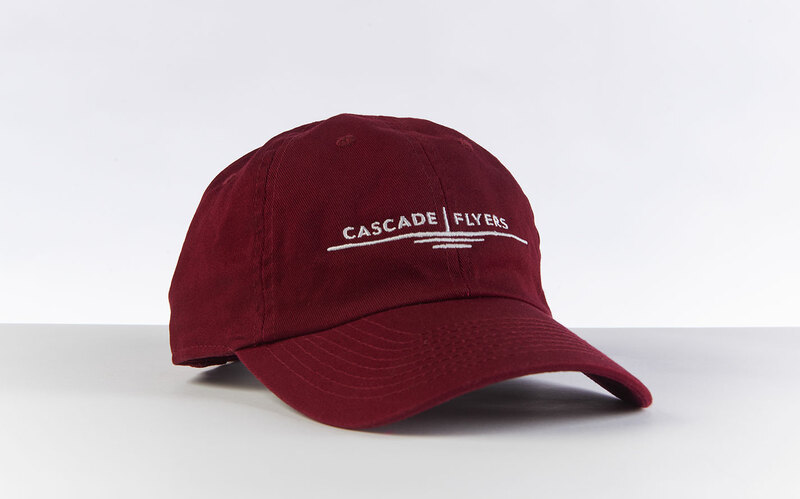 We gave the club the option of using their logo in three color palettes: grey blues (representing water and overcast weather of the PNW), greens (representing the lush forests and mountains), and warm reds (paying homage to classic red of the Cessna planes they fly). We worked with three professional photographers on this project. I art directed and coordinated several photo shoot flights over the course of two months to gather hundreds of image options for the club’s website. To delight and engage with visitors of their website it was important to authentically show users what it’s like to fly with the club. For this, I coordinated an aerial photo and film shoot of three planes in tight formation. I art directed six pilots and three photographers at once using headset radio communication and storyboards. We identified that the website’s current use was almost exclusively by the 30 members of the club. Though they needed us to design a homepage that would garner an increase in visitors, it was crucial to keep the website manageable and enjoyable for the club members as well. We interviewed members, identifying their most relevant tasks and noted their most common interactions and behaviors. There was quite a range of comfort with technology within the club, from 70+ year old members who only visited the site from their PC to younger tech savvy members who preferred accessing the site from their smart phones. We identified many pain points that members had, predominantly the overly complex navigation and lack of visual hierarchy. To allow for member confidence we kept the basic structure of the site the same, but streamlined the content and gave them an updated platform for blogging new content. See the finished website by clicking here.